Megeva's skiing area is split into three sectors, linked by lifts. Not particularly high-altitude, the resort's slopes reach 2355m, and the 325km of piste are served by 84 lifts and 485 snow guns. Helpfully, your ski pass covers Les Contamines, and so your skiing options are expanded! Megeve is a great place for beginners to cut their teeth, with gentle greens and blues, as well as easily accessible nursery runs. Intermediate level skiers perhaps fare best, as there is a great range of interesting reds and blues available. Experienced skiers will find fewer challenging black runs than they might expect of a resort of Megeve's size, but the (usually under-skied) off-piste opportunities more than make up for this. Snowboarders in Megeve are spoilt with a total of 4 snowparks, and it is easy to avoid the drag lifts that can become boarders' nightmares. Cross-country skiers are also well provided for, with 75km of trails that get great views across the region and take in Mont Blanc. Megeve is known for being up-market, and was the French equivalent of St. Moritz before Courchevel 1850 stole the show. As you might expect, then, there are many luxury catered chalets in Megeve, often in the traditional wood-clad style, replete with hot tubs and saunas, a great choice for a group or family holiday! 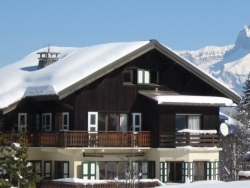 But self-catered apartments in Megeve are available too, and apartment blocks with great access to the slopes are to be found. Off the slopes, Megeve is true to form and offers fine dining at its best, including a Michelin-starred restaurant. Rowdy nightlife is not the name of the game, but you can entertain yourself in the casino, listen to live music in the jazz bar, keep active in the sports centre, or head to a shopping mall. [short_description] => Charming, superior chalet with great character and excellent service in picturesque Megeve. Open in the summer too! 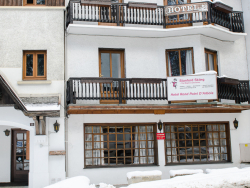 Charming, superior chalet with great character and excellent service in picturesque Megeve. Open in the summer too!